Abney Hall is a substantial Victorian house surrounded by a park in Cheadle, near Stockport, Greater Manchester, in the northwest of England (grid reference SJ85958923). The hall dates back to 1847 and is a Grade II* listed building. The foundations of the hall were laid in 1842 on the site of Cheadle Grove Print Works, which had been built in 1760 and which later burned down; the hall was completed in 1847 but remodelled in the 1850s and considerably extended in the 1890s. It was originally called 'The Grove' after the print works and was the home of a mayor of Stockport, Alfred Orell, who died in the year of its completion. Abney was sold to James Watts (later Sir James Watts) who rebuilt the upper storey and added two short wings in the early 1850s. The architects for the alterations were Travis and Magnall, the Manchester firm that designed the Watts Warehouse on Portland Street in Manchester. However, hardly was the work by Travis and Magnall complete, when James Watts was inspired to engage the architect and designer A. W. N. Pugin and his colleagues, who had created the Gothic Court at the 1851 Great Exhibition in the Crystal Palace, to make further substantial alterations. James Watts was responsible for renaming it 'Abney Hall' after, in the words of his son, "Sir Thomas Abney who entertained Sir [actually Rev. Dr.] Isaac Watts for thirty years". In the 1890s Abney Hall was further altered and substantially extended by the architect and interior designer George Faulkner Armitage. In 1912, a valuation and inventory was taken for insurance purposes by Waring & Gillow Ltd who valued the contents of Abney Hall and Buckley Hall (a detached stone and lime building within the grounds that was demolished in 1963) at £13,150 5s 0d. Abney Hall was sold in 1958 for £14,000 to Cheadle and Gatley Urban District Council, which adapted it and opened it as Cheadle Town Hall in 1959. Stockport Metropolitan Borough Council took it over in 1974 and moved much of the remaining historical furniture from the hall to Bramall Hall and Lyme Hall. Parts of the grounds were sold until about a tenth of the original area remains. The hall is used as offices, though it is generally opened to the public under the auspices of the Civic Trust's Heritage Open Days scheme in September, and the grounds are open to the public all year round. The Hall is mostly locked to the public since recent years due to the offices, with hall owners Bruntwood renovating the hall in 2014 and APS relocating their offices into the hall in September 2014. During filming for BBC drama series Our Zoo, flagstones surrounding Abney Hall were accidentally damaged during filming of the show in April 2014. Developments continued on the hall's grounds, with the September 2015 opening of the Abney Court Care Home built in the former walled garden of Abney Hall. The last private owner of Abney Hall was the grandson of Sir James Watts (1804–78). He was also named James Watts, as was his father. Sir James' grandson was Agatha Christie's brother-in-law; James having married Agatha's sister, Margaret (Madge) Frary Miller (1879–1950), in 1902. Mrs. Christie often visited the Hall and wrote two stories from there: the novel After the Funeral and the short story The Adventure of the Christmas Pudding, which is part of a collection of short stories of the same name. The Hall was also used as a basis for Chimneys, a country house and seat of the fictional Marquesses of Caterham, in The Secret of Chimneys and The Seven Dials Mystery. Many references to various places around Cheadle can be found in her books. Vanessa Wagstaff writes, "Abney became Agatha's greatest inspiration for country-house life, with all the servants and grandeur which have been woven into her plots. The descriptions of the fictional Styles, Chimneys, Stoneygates and the other houses in her stories are mostly Abney in various forms." In 1857, Prince Albert visited the Hall during a two-day visit to Manchester and described it as "one of the most princely mansions in the neighbourhood". Agatha Christie's brother-in-law, James Watts, was the last private owner of the Hall and Mrs. Christie often spent time there. The park is a Local Nature Reserve. It was originally part of the Mersey flood plain, and much of the land is still very damp. This land has now formed wet meadows, which are becoming increasingly rare in Stockport as land is drained for development. Abney Hall is one of the few places in Stockport to feature such wetlands. There is also a small cafe called Abney Garden Teas in the Abney Centre in the centre of the park. ↑ "Abney Hall". Images of England. Retrieved 8 January 2008. 1 2 3 4 5 6 Thompson, Basil Luis (April 1972). The Town Hall, Cheadle. B. L. Thompson, Esq. 1 2 3 "Abney Hall Park". 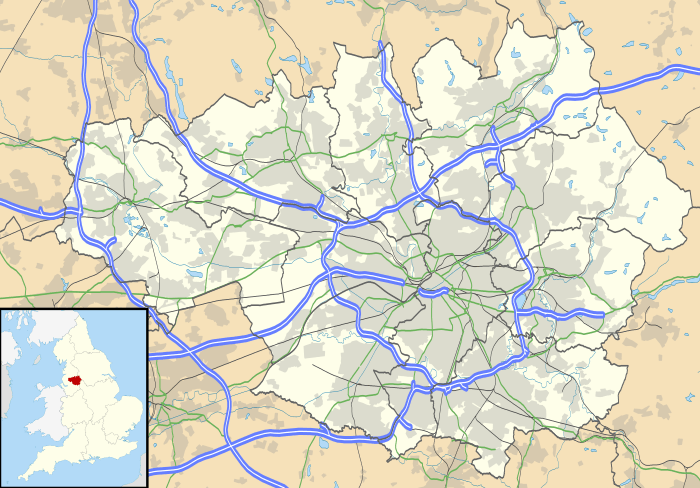 Stockport Metropolitan Borough Council. ↑ "aps relocates to Abney Hall in Cheadle". Bruntwood. ↑ Davis, Matthew (23 April 2014). "TV crew causes damage to grounds of historic Abney Hall". Manchester Evening News. ↑ "Abney Court Care Home in Cheadle, Cheshire". Care UK. ↑ "Sir James Watts". Upper House. History. Sir James Watts. Upperhouse Pty Ltd 2012. Retrieved 9 December 2013. ↑ Wagstaff, Vanessa; Poole, Stephen (2004). Agatha Christie: A Readers Companion. p. 14. ISBN 1-84513-015-4. ↑ "Abney Hall". Local Nature Reserves. Natural England. ↑ "Map of Abney Hall". Local Nature Reserves. Natural England. Wikimedia Commons has media related to Abney Hall.